Wow! This is a beautiful move in ready townhome in the gated neighborhood of Ventura Bay! This "Milan plan by Pulte is functional for all buyers! As you enter the foyer, youll instantly notice how incredibly well maintained this home is! Natural light flows in effortlessly through the glass sliders! Kitchen features rich cabinetry, stainless steel appliances, large pantry, tons of counterspace & MORE! The dining room is off the kitchen and open to the great room perfect for entertaining company! There is a powder room on the first floor ideal for guests! Master en suite is a retreat with a large walk in closet, dual sinks, shower! There is also garden bath combination perfect for a relaxing soak! Secondary bedrooms are considerably well sized and share a full bath down the hall. The laundry room is conveniently upstairs with all bedrooms and the carpet shows new! Are you looking for a relaxing spot to drink your morning coffee? Step out onto your very own peaceful screened in lanai! One car garage and plenty of drive space for company to park along with more guest parking down the street. Community offers a lovely resort style pool with pavers to enjoy all year long! 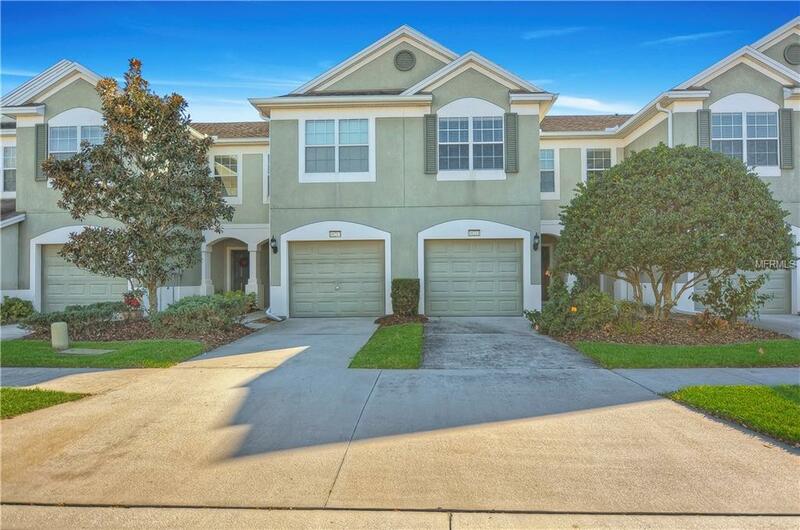 In the heart of Riverview this community offers a maintenance free life style at a convenient location! Positioned less than 2 miles away from I-75/Crosstown making any commute a breeze! Movie theaters, Westfield Mall, and great restaurants are only minutes away! The home shows like a model! Come see & welcome yourself home today!